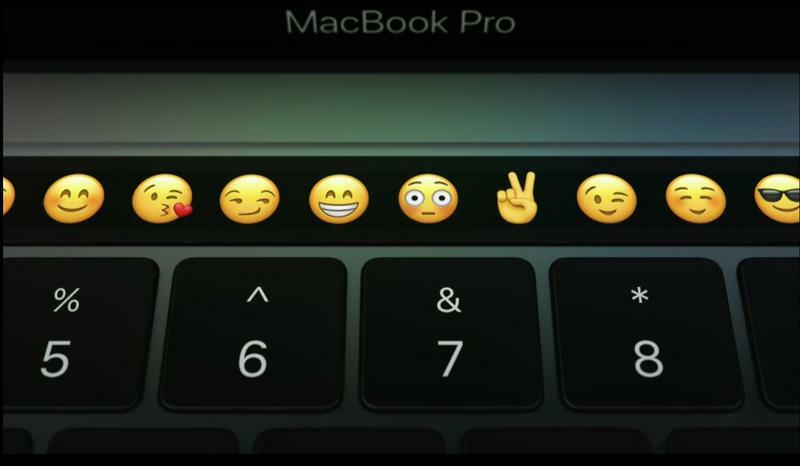 Now that you’ve flipped through that gallery of the new MacBook Pro 2016, let’s take a closer look at what makes it so special. 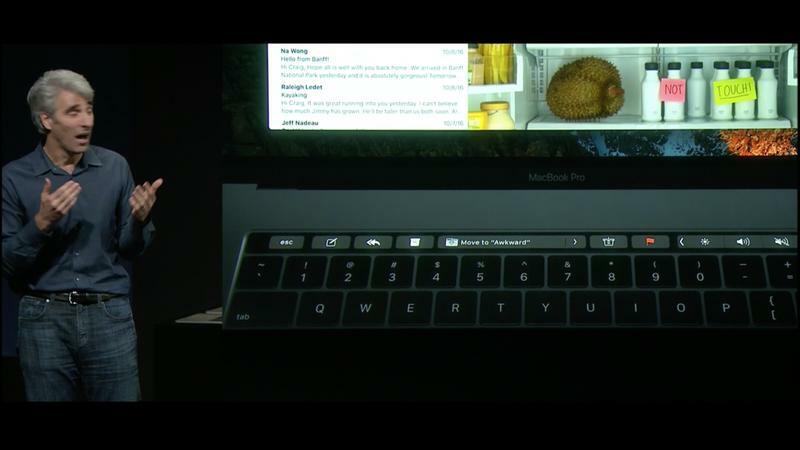 Without further ado, here are the top 5 features of Apple’s new 2016 MacBook Pro. 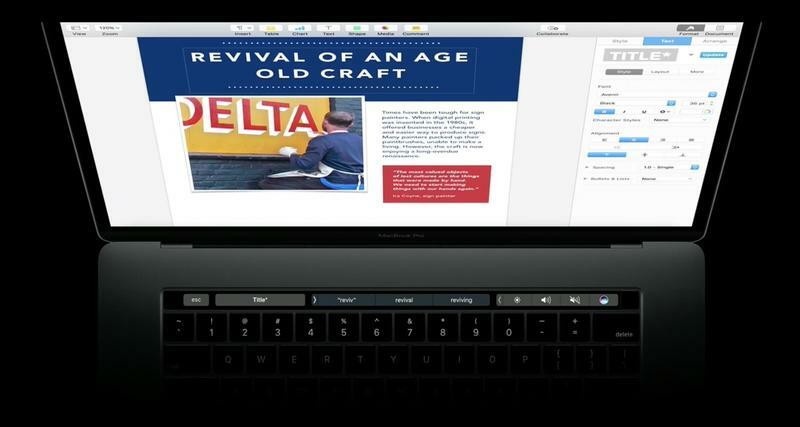 Let’s be honest, it’s high time Apple just add touchscreens to its laptops. 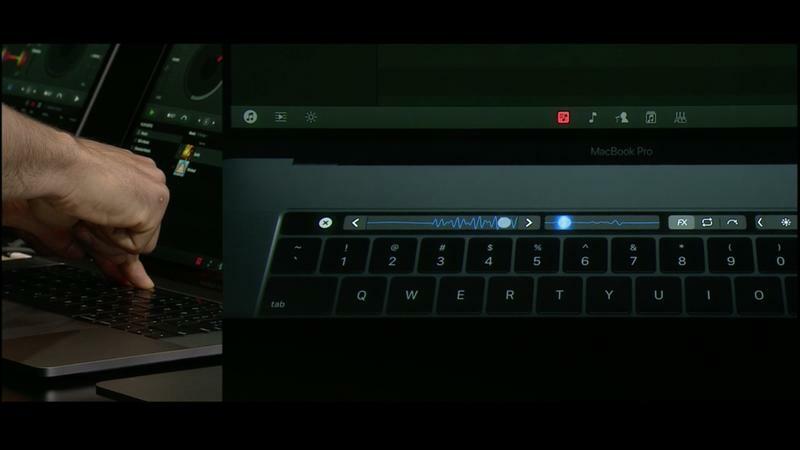 It didn’t, though. 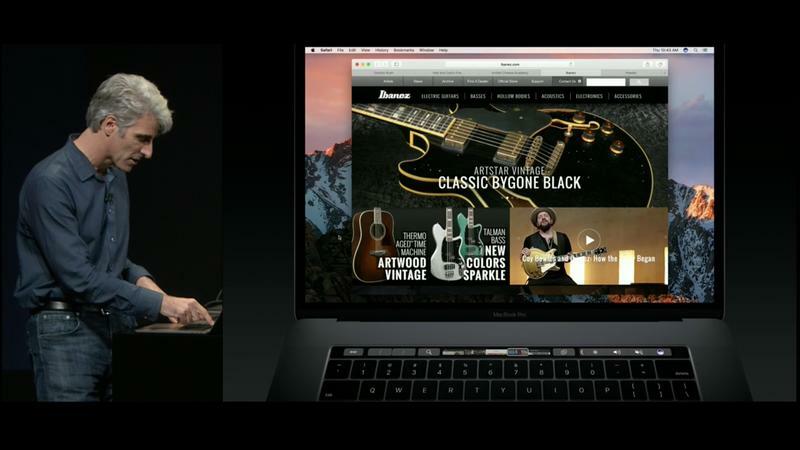 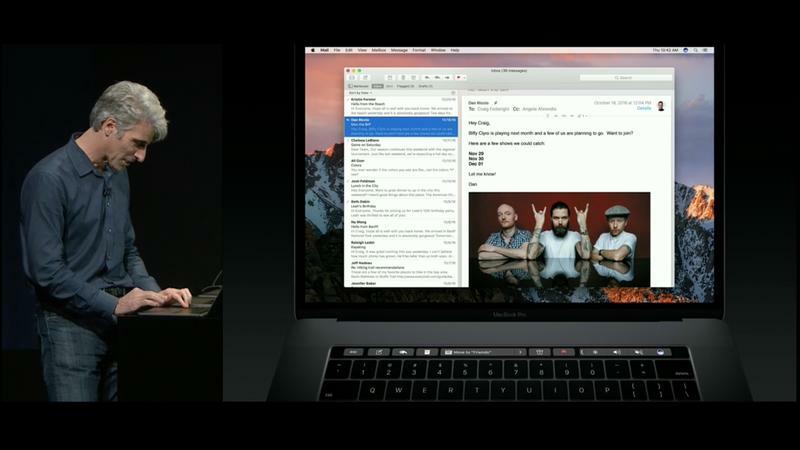 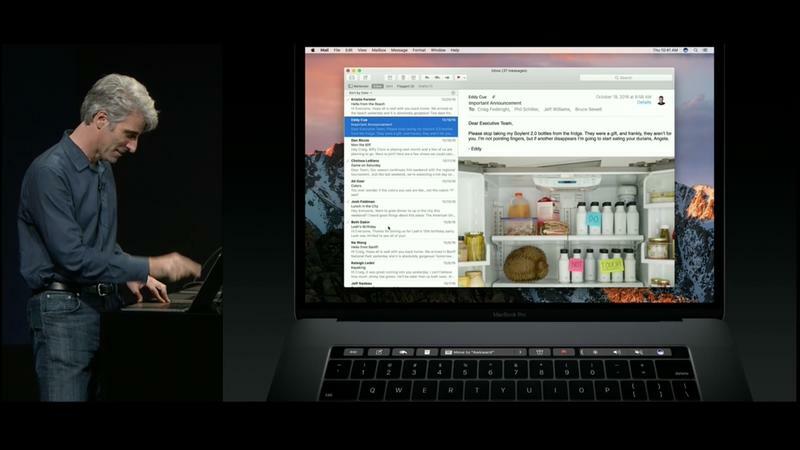 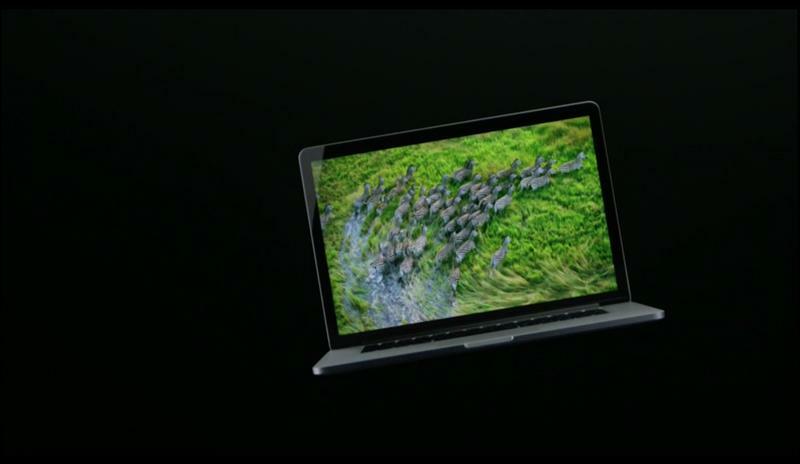 The screens are still better than what was available on the last-generation MacBook Pro, though. 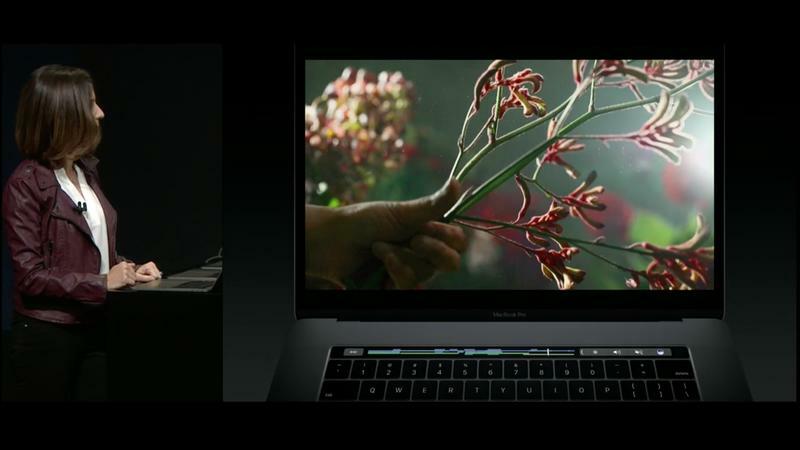 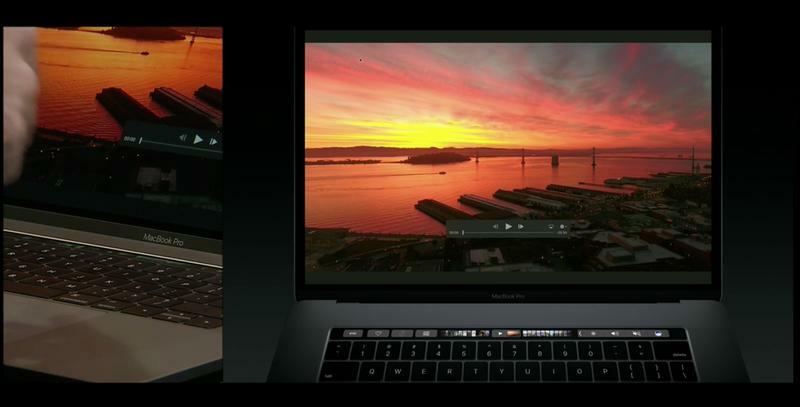 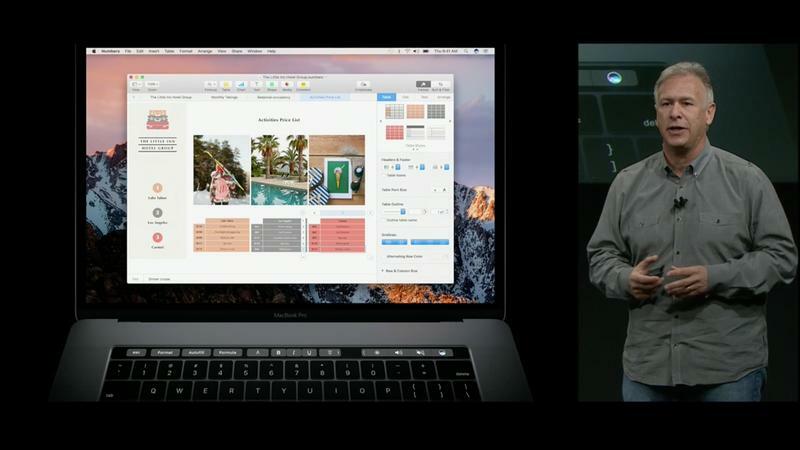 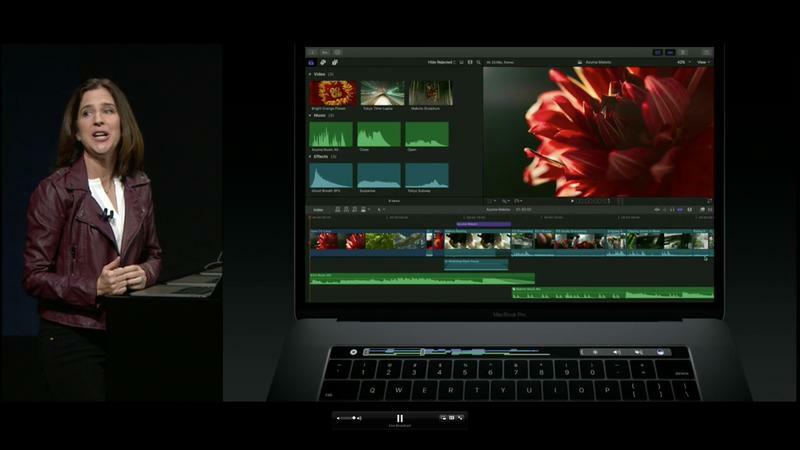 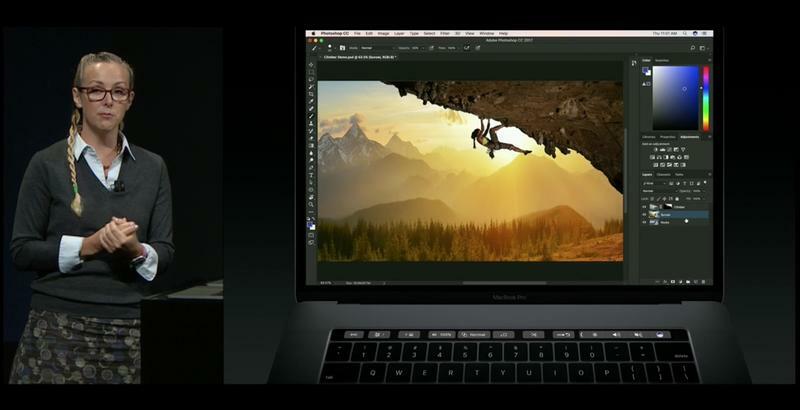 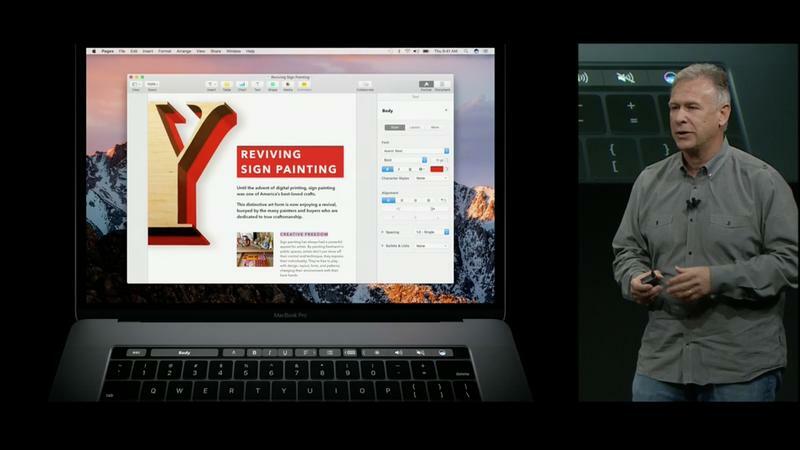 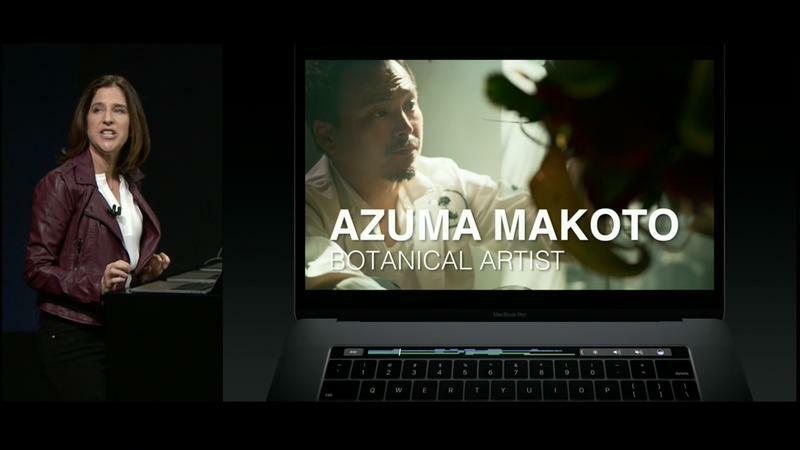 Apple said the laptop features the “best Mac display ever” and that it’s 67-percent brighter, offers 67-percent higher contrast ratio and offers 25 percent more colors. 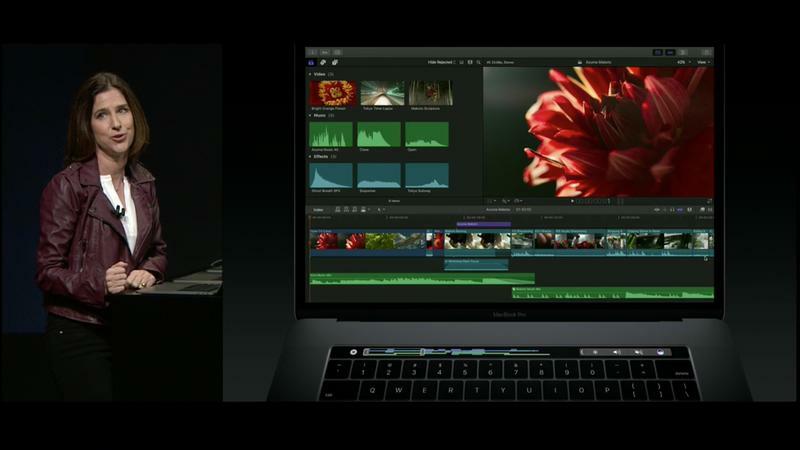 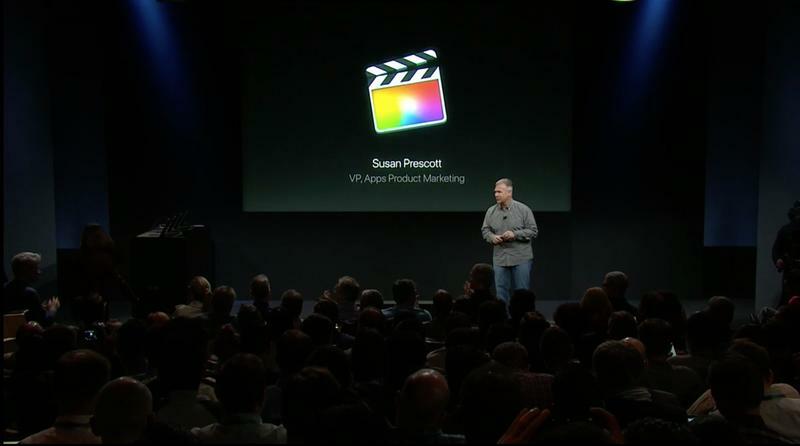 Video and photo editors will probably love that, as will folks who just love nice and bright displays. 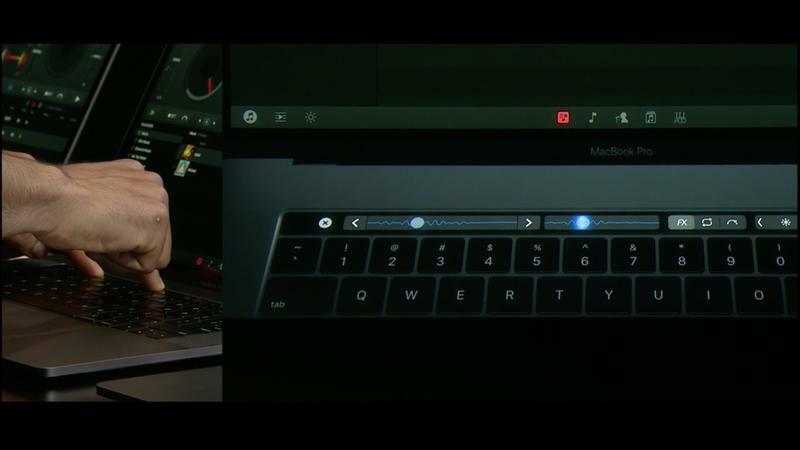 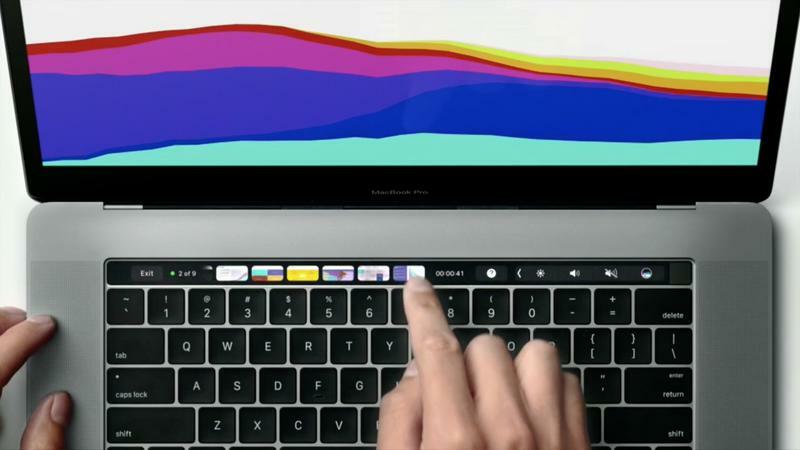 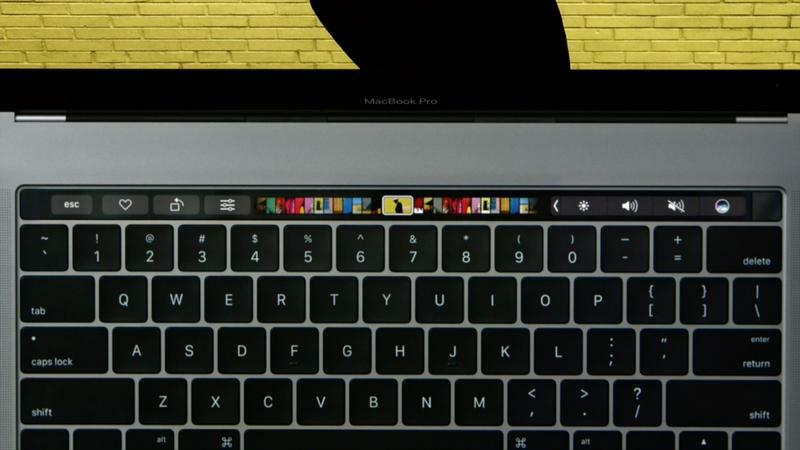 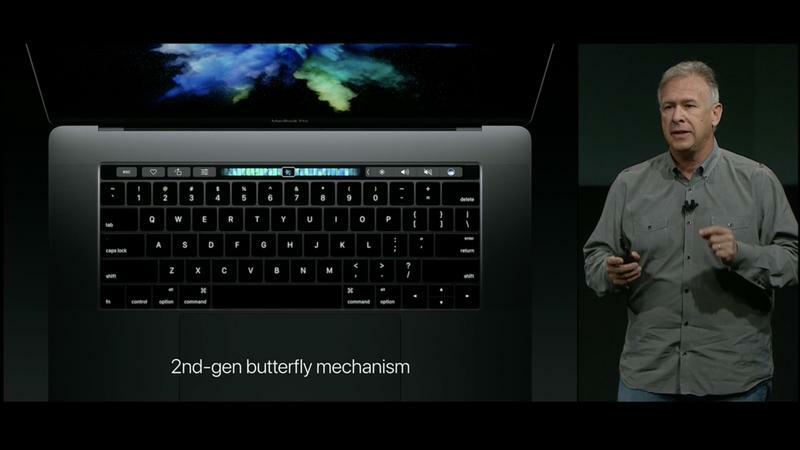 Easily one of the highlights of the new MacBook Pro, the Touch Bar helps set it apart from not only other Apple laptops, but other computers in the industry. 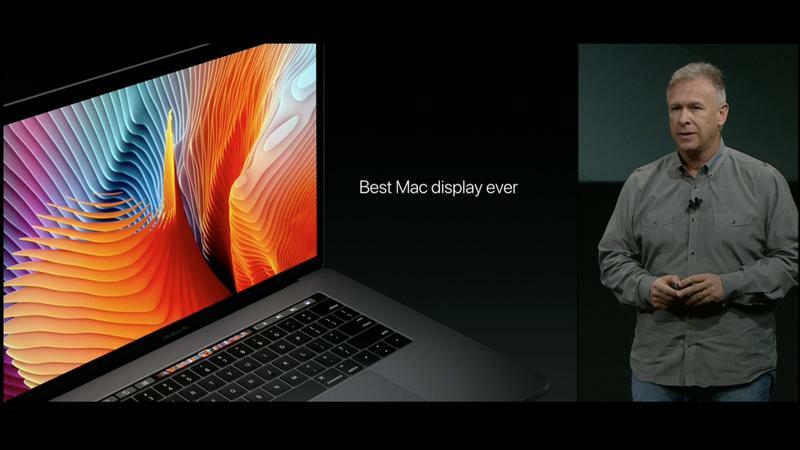 It’s unique, no doubt, but we’ll hold out our judgement until we get to try it. 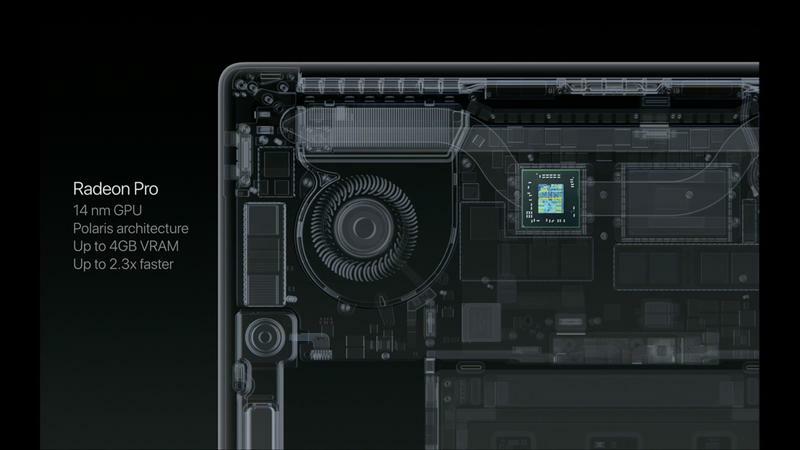 We’ll need to see why it’s better than a full touchscreen, after all. 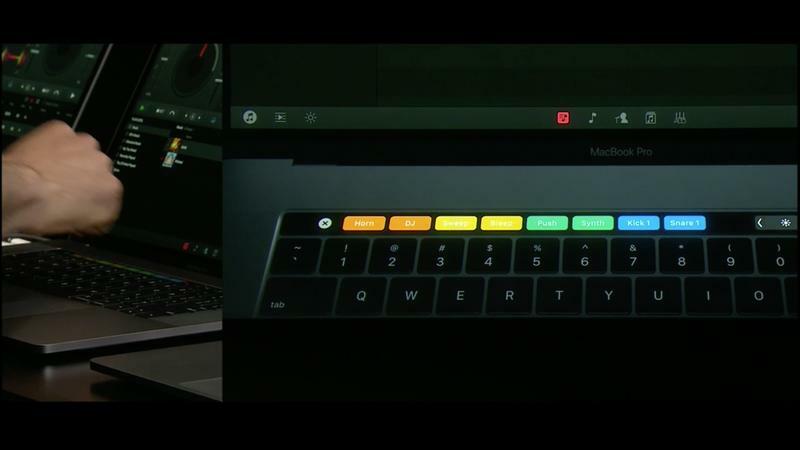 In any case, you’ll be able to use the Touch Bar to access quick shortcuts, emoji, menus within applications, music controls, volume and brightness controls and more. 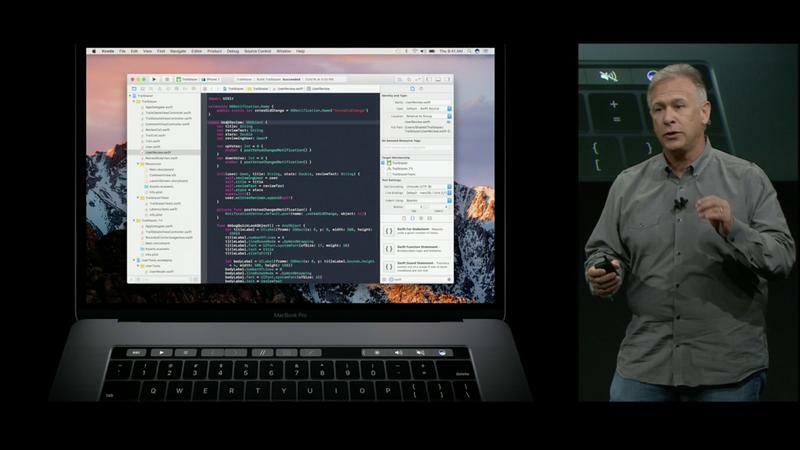 Developers can add in any sort of functionality they see fit. 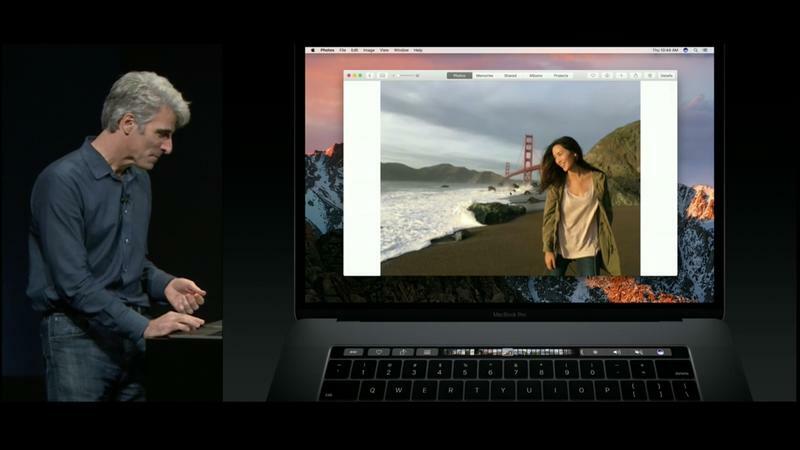 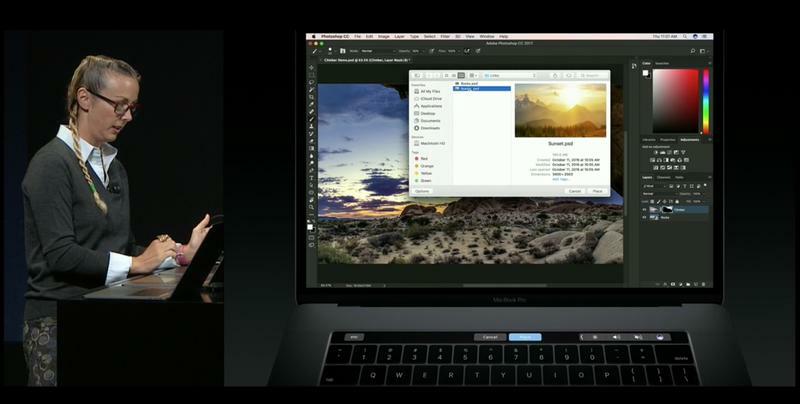 Adobe Photoshop will be one such app with Touch Bar functionality later this year. 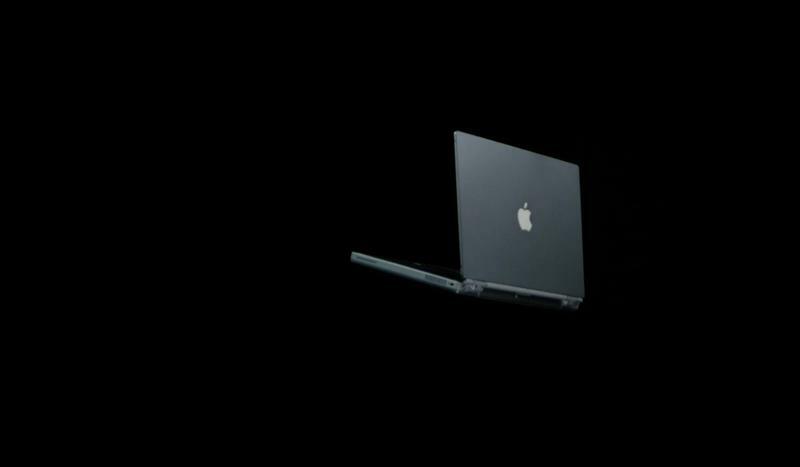 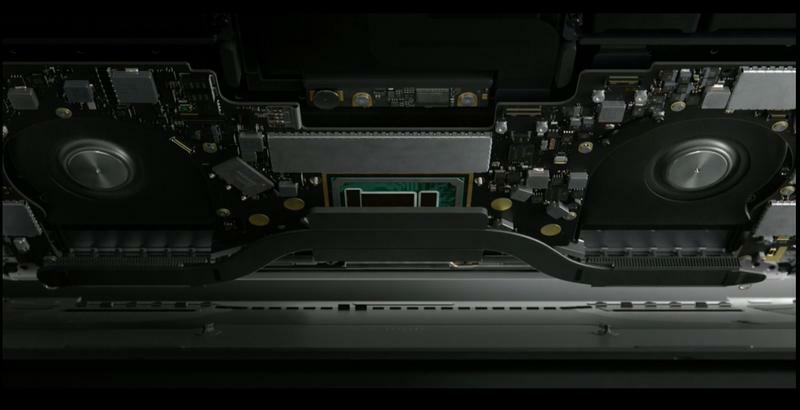 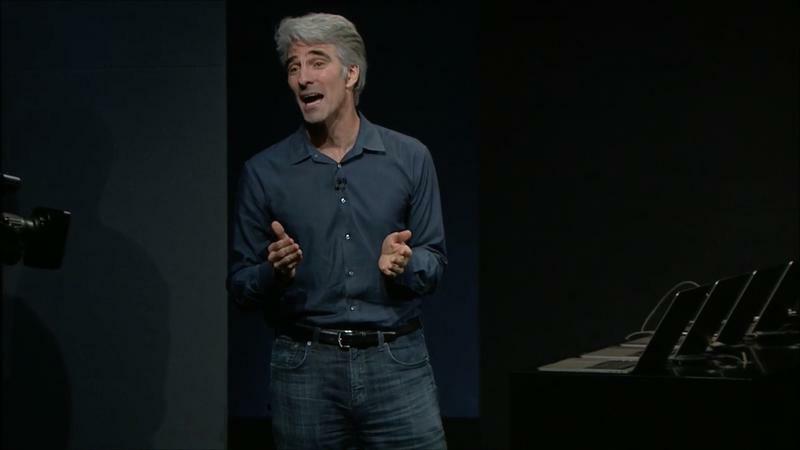 The MacBook Pro, despite its added power, is 17-percent thinner than earlier models. 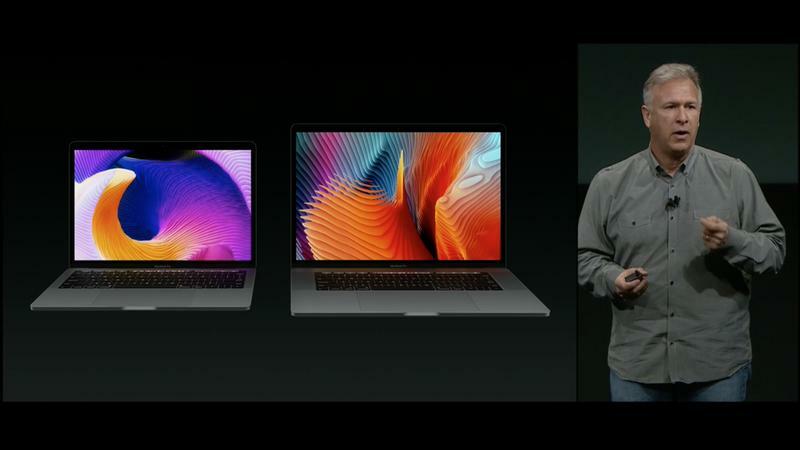 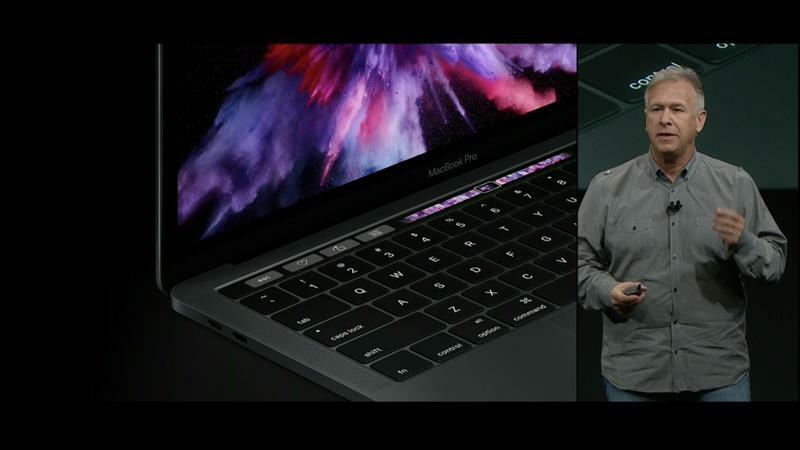 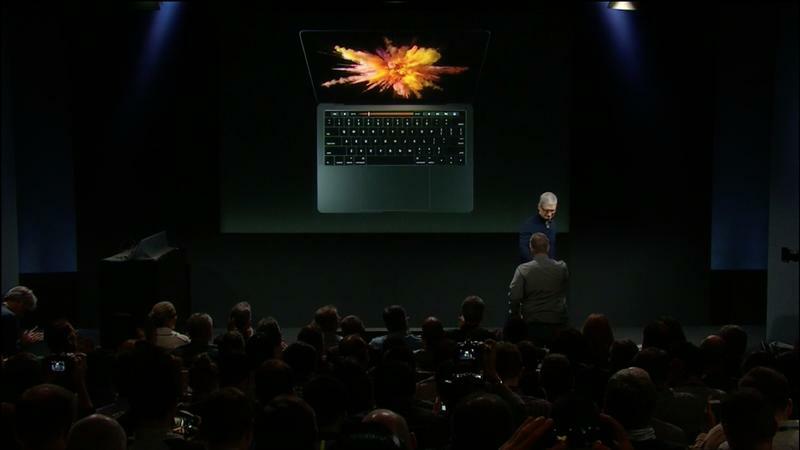 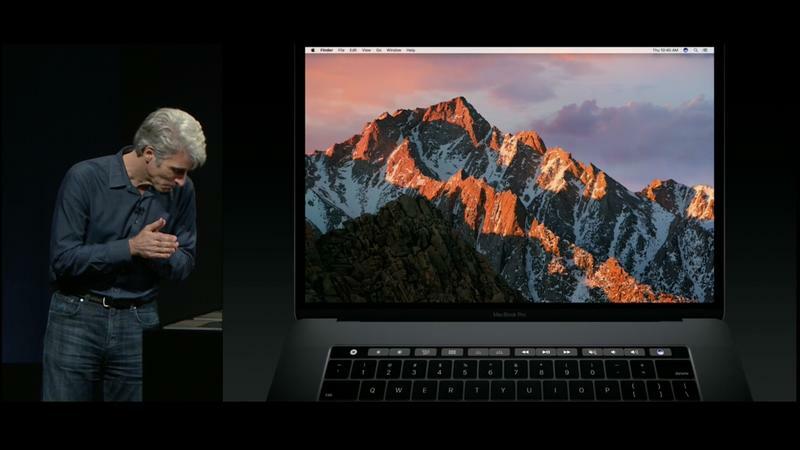 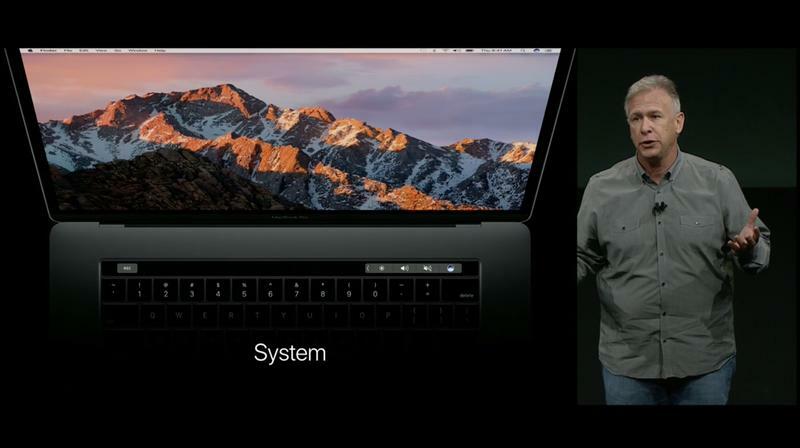 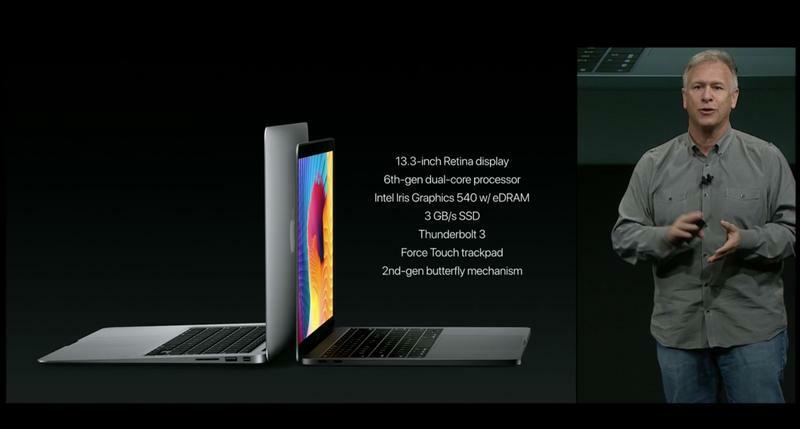 That’s despite the new Core i7 or Core i6 processor, up to 10 hours of battery life, a larger Force Touch trackpad and storage options. 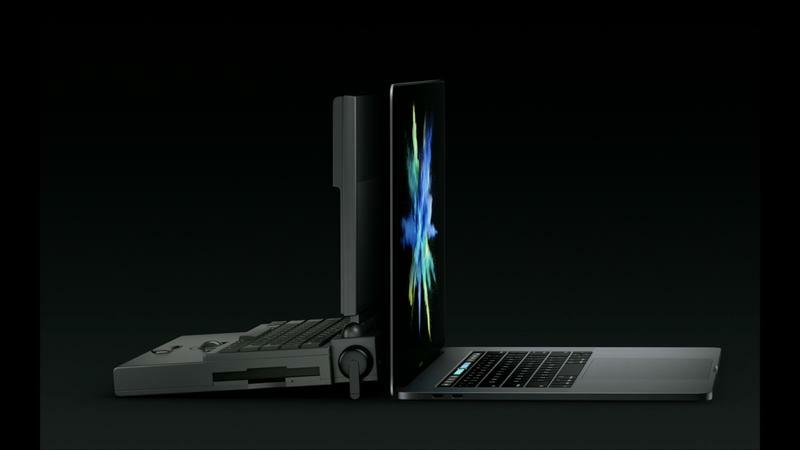 Apple actually said the entire footprint is about 23-percent smaller than the last MacBook, which is pretty incredible. 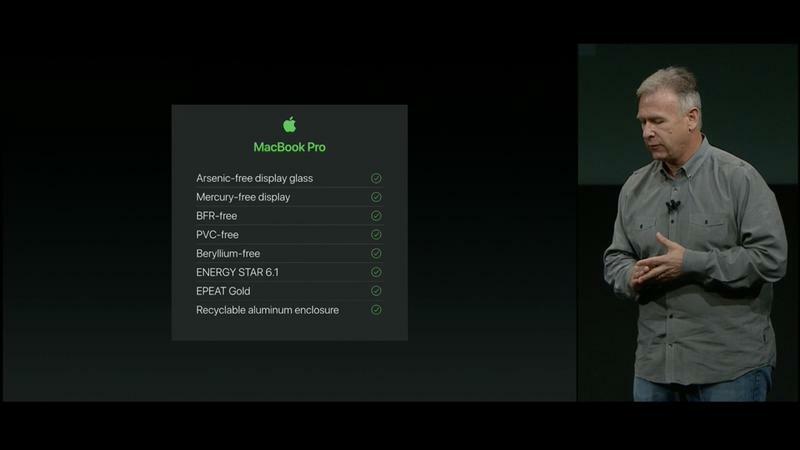 Not bad if you’re looking to save space in your travel bag, eh? 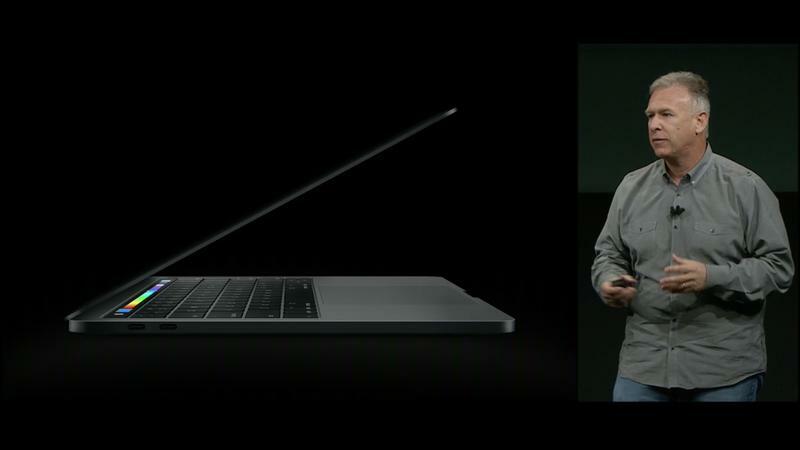 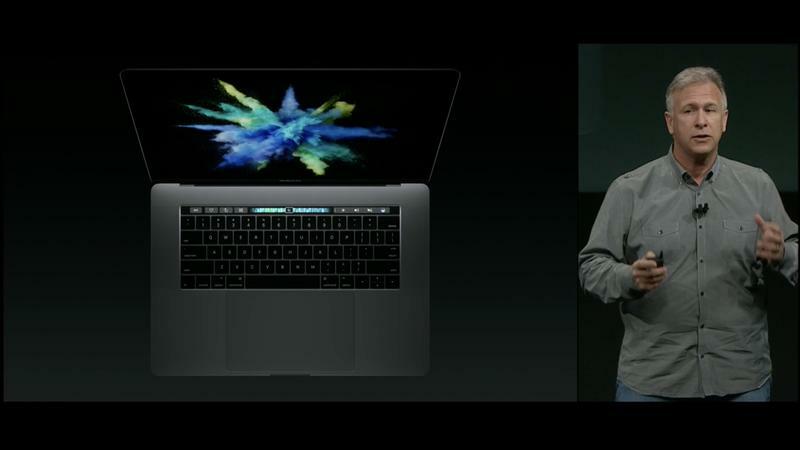 Surprisingly, it’s also lighter than previous MacBook Pro models. 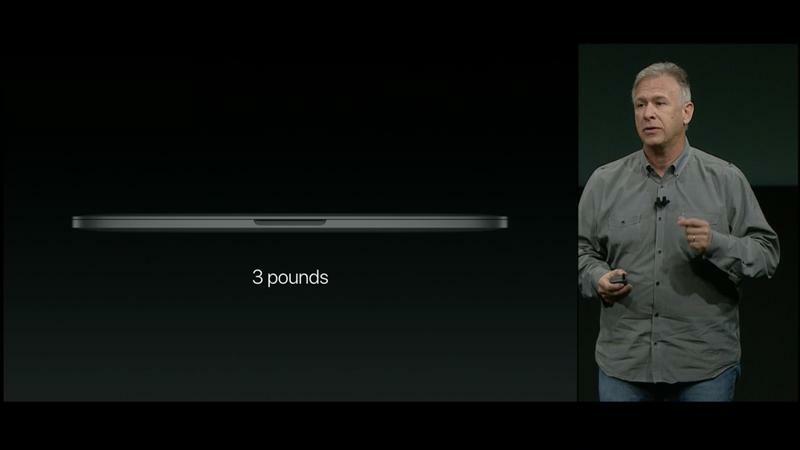 In fact, it weighs the same 3-pounds as the 13-inch MacBook Air, which is pretty incredible. 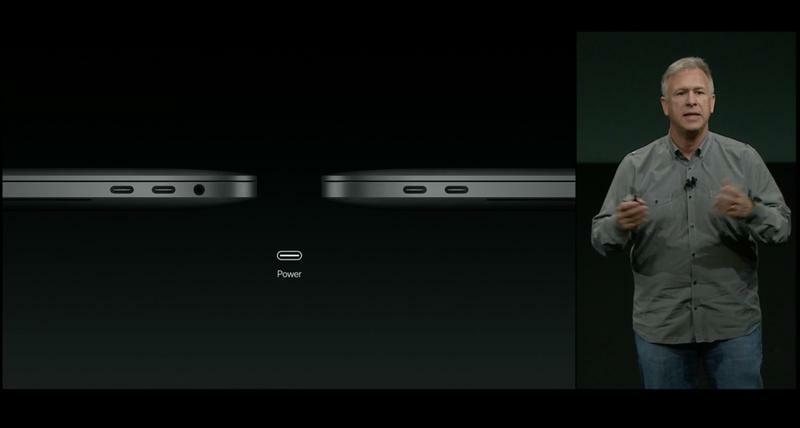 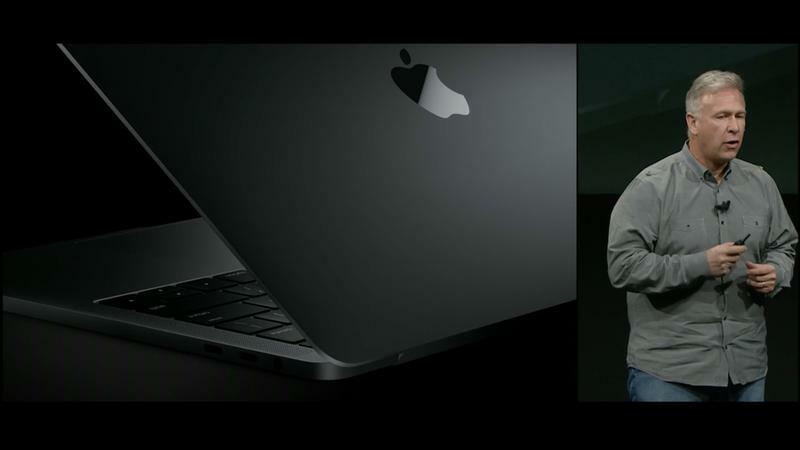 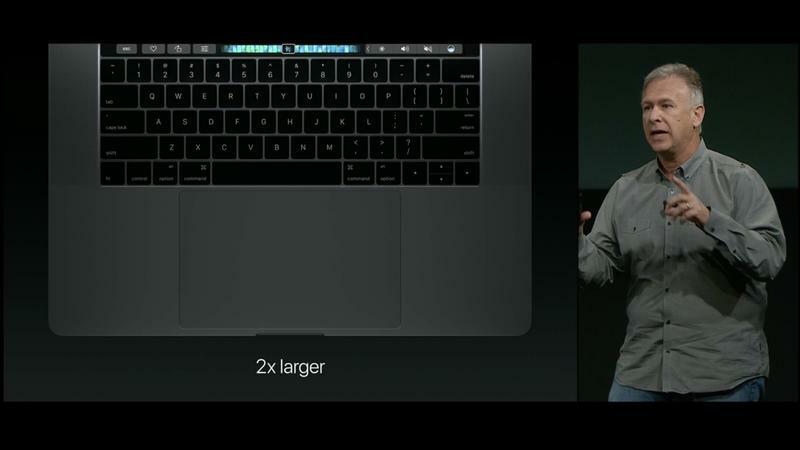 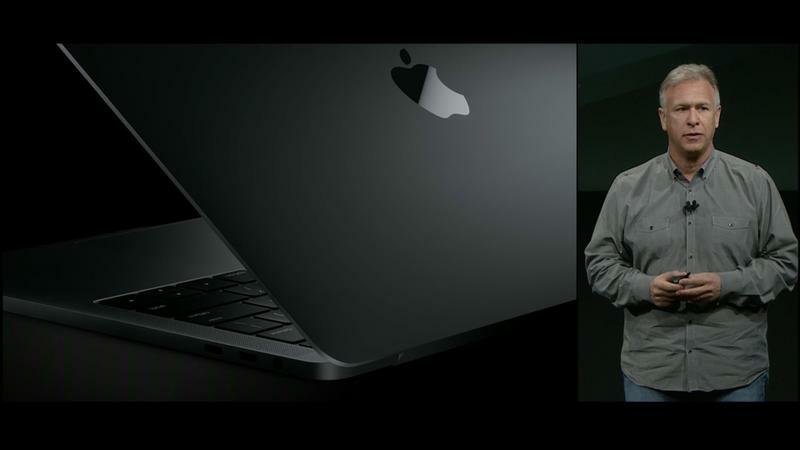 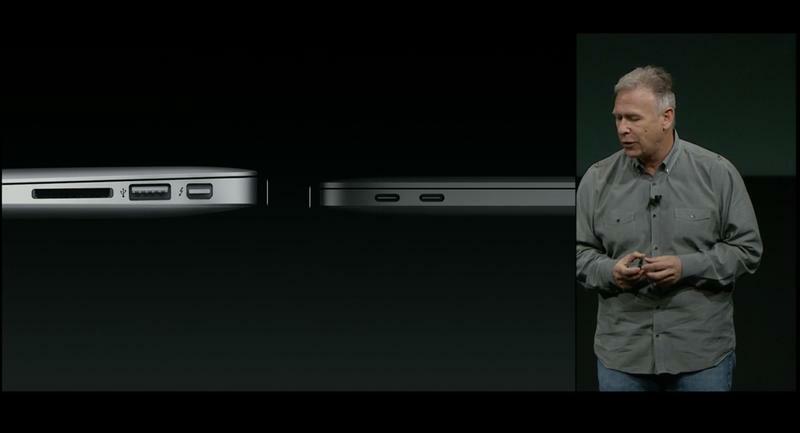 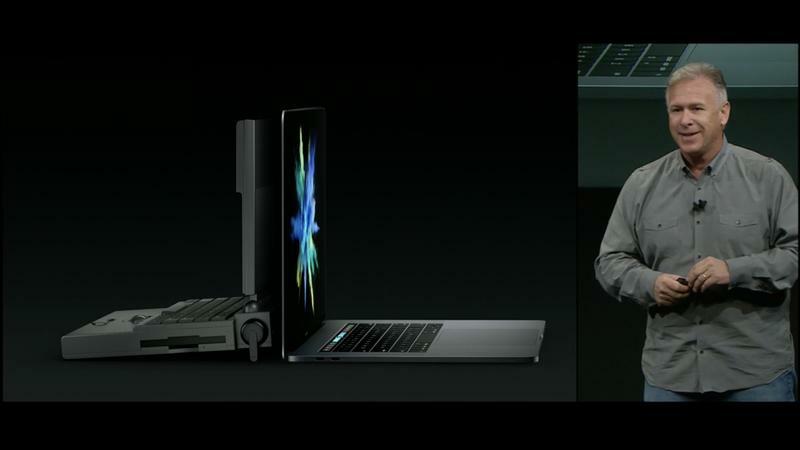 It’s also 13-percent smaller than the MacBook Air. 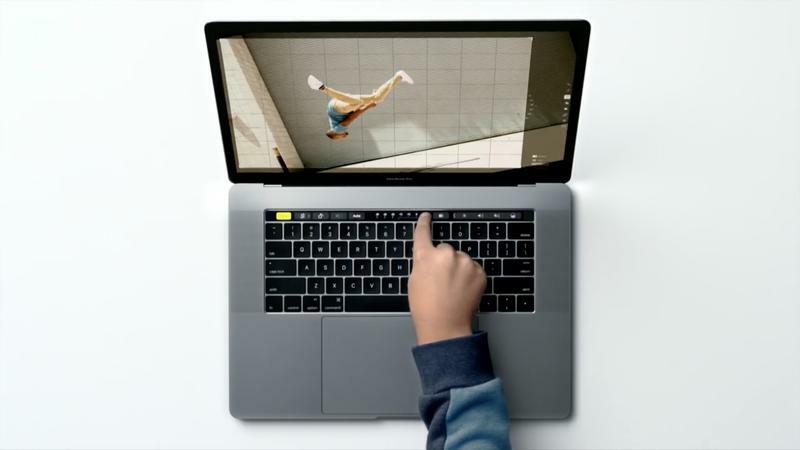 That’s why Apple is killing off the 11-inch MacBook Air, keeping the 13-inch model and selling a MacBook Pro without the new Touch Bar or Touch ID. 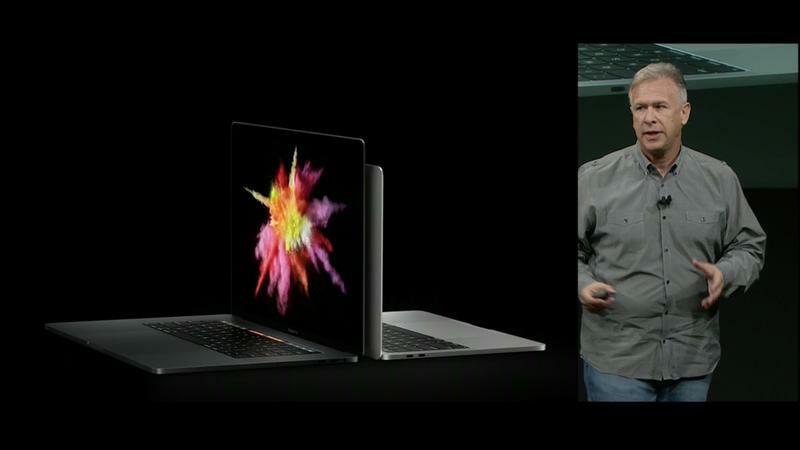 This allows it to cater to folks who want something just as light but with a bit more power and a much sharper display. 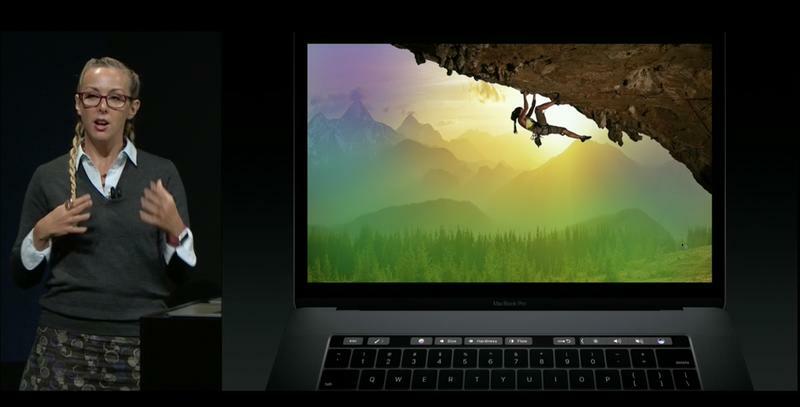 Folks usually carried a MacBook Air since it was easier on the back and shoulders in a backpack; now they can just get a MacBook Pro. 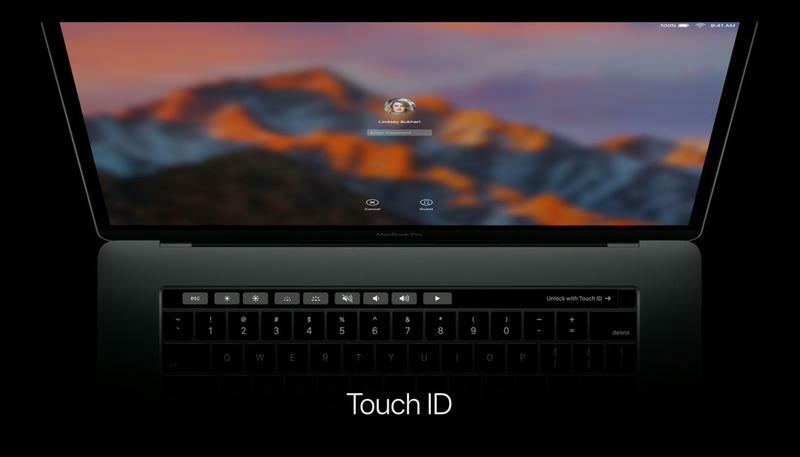 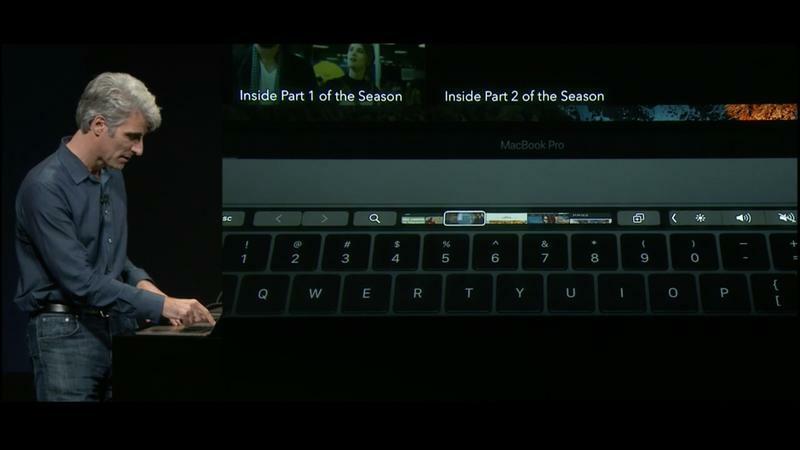 Finally, the new MacBook Pro also features Touch ID. 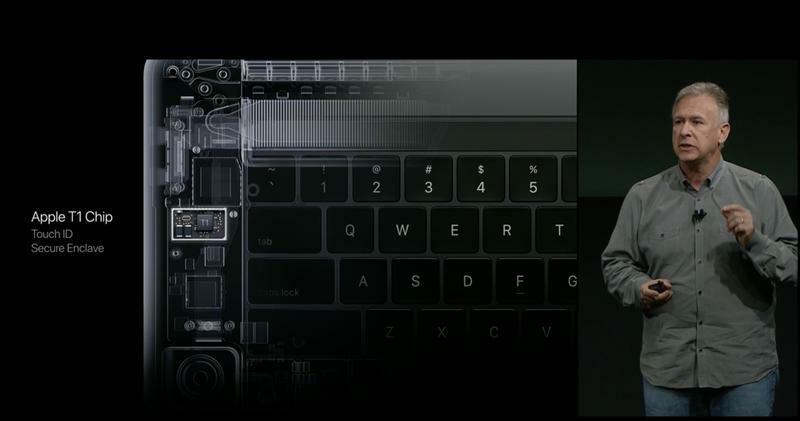 That enables plenty of functions. 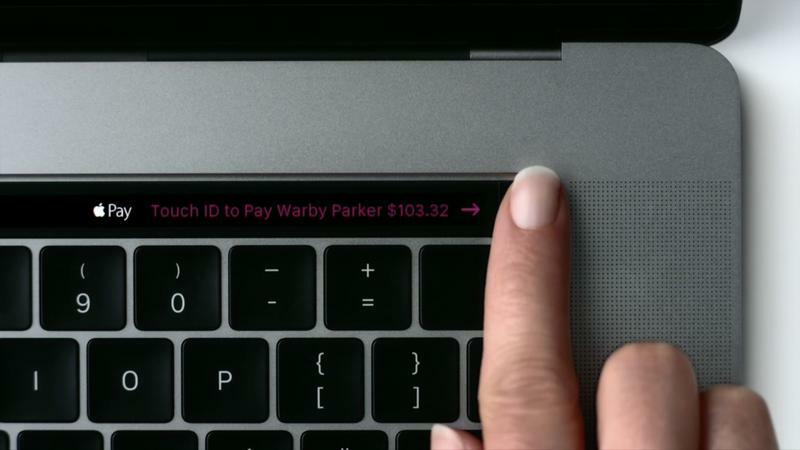 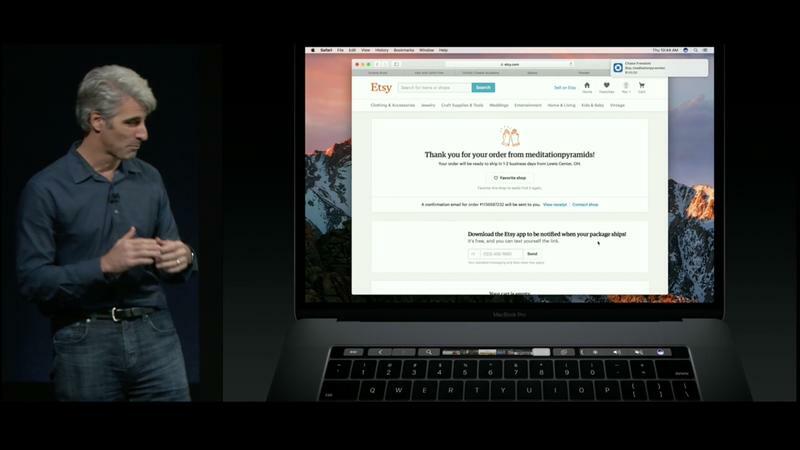 First, you can use your fingerprint for secure payments on websites that support Apple Pay. 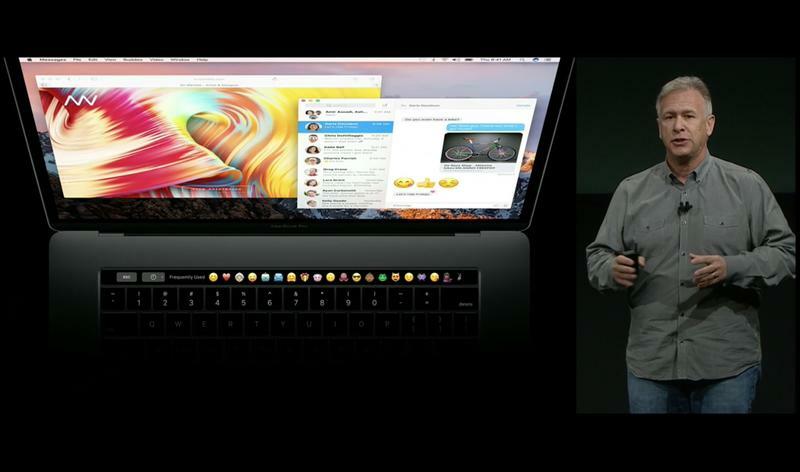 There’s a special Apple chip in the laptop that keeps all of your digit information secure and encrypted on the laptop. 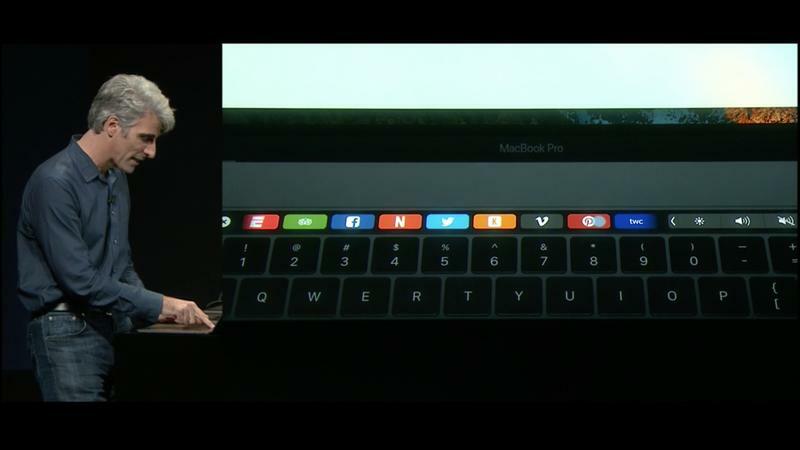 Also, you can quickly switch between users. 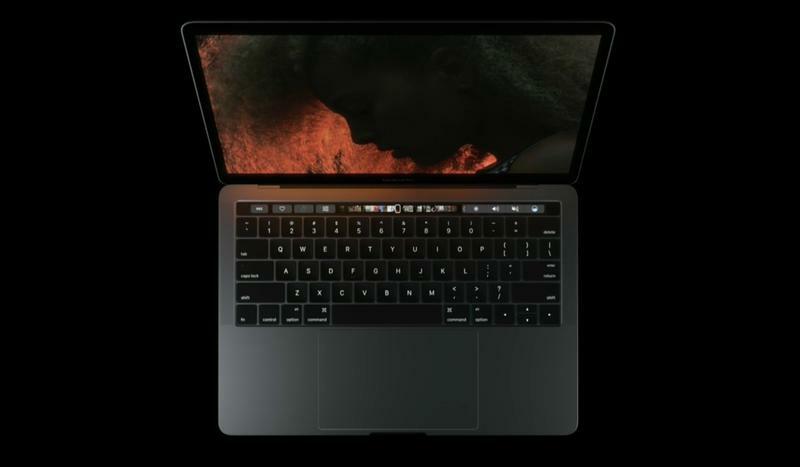 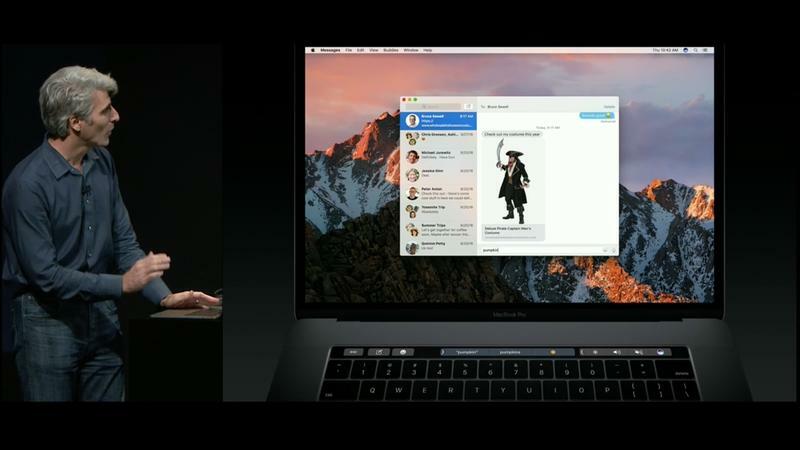 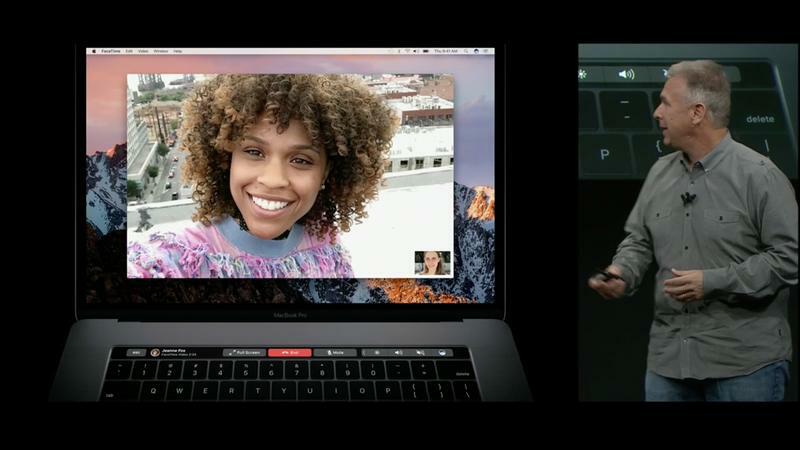 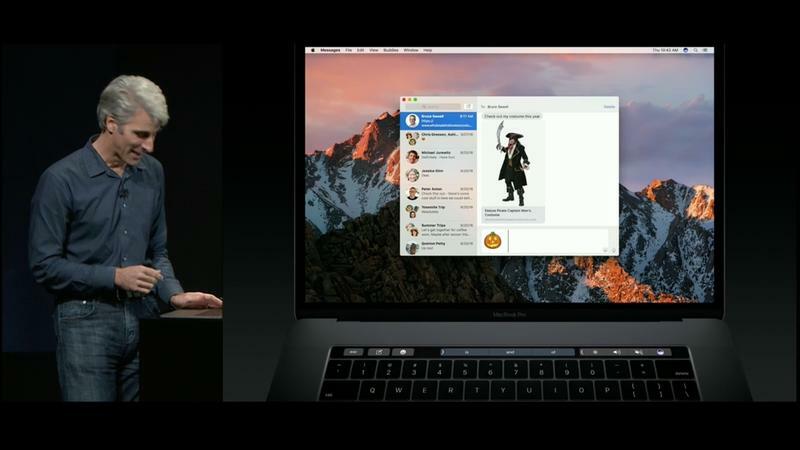 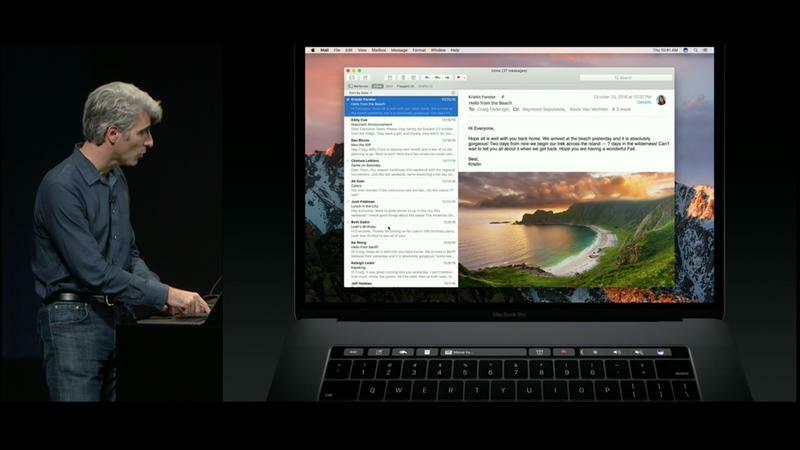 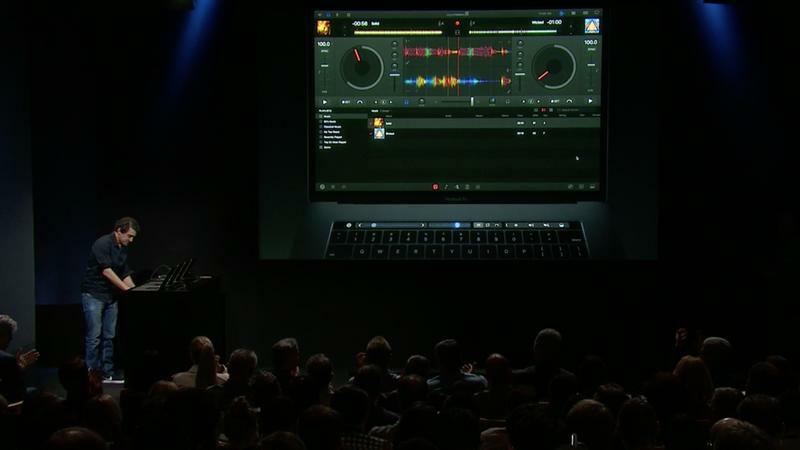 Apple showed a demo on stage where one user was able to tap his fingerprint on the Touch ID pad to quickly switch accounts on the MacBook Pro in a split second. 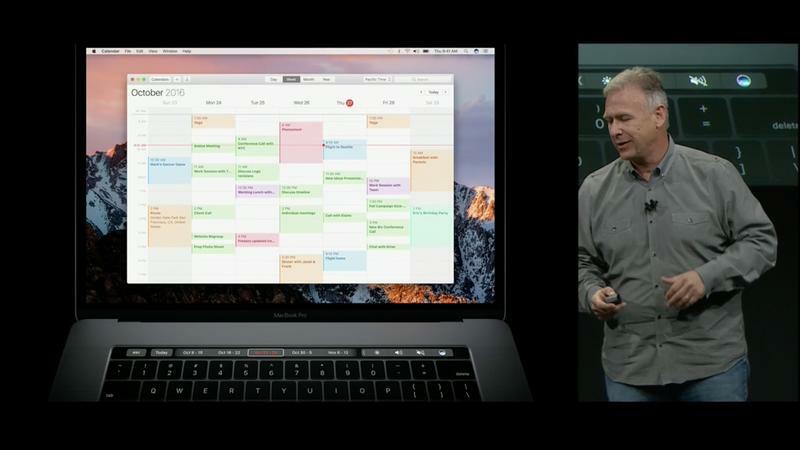 This is useful, though we wonder why it isn’t supported on iPads, too. 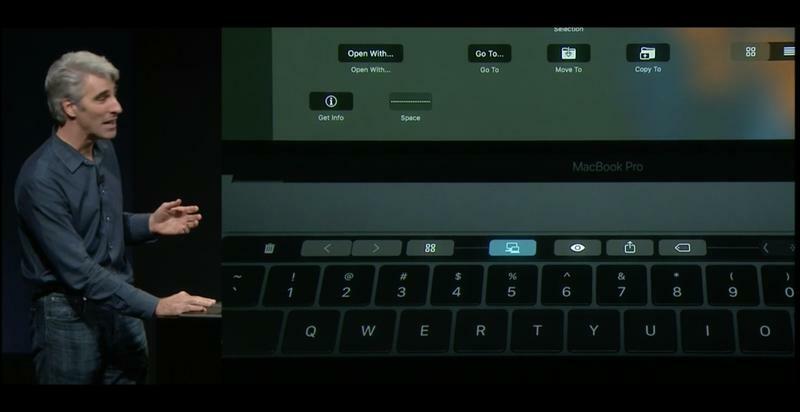 Keep in mind that Touch ID is only available on the MacBook Pro models with the Touch Bar, so you won’t find it on the cheapest model.